There’s lots to do around Disentis in the winter. Here are some ideas. Disentis has a small ski resort about 5 minutes drive from the apartment. The resort has 9 lifts and 60 kilometres of pistes, the majority of which are red and blue. There is a great black route down to the valley. One can take lessons and there are amenities for children. Good for a leisurely day on the slopes, or for free riding into other valleys. To get there head in the direction of Sedrun/Andermatt and before leaving Disentis turn right right at the sports centre. Park at the Caischavedra gondola. There is also a ski bus - jump on the bus on the main road. More information can be found on the Disentis 3000 website. The Ski Arena Andermatt-Sedrun resort is 11km / 15 minutes drive from the apartment. It’s a larger resort, with 20 lifts and 120 kilometres of slopes. It’s worth noting that until the extensions are complete in 2017, a single-stop train interconnects the Sedrun and Andermatt part of the resort. To visit the resort, drive through Sedrun and park in Dieni. It’s also possible to take the bus from the main road. The Obersaxen resort is 25km / 40 minutes drive from the apartment. It has 17 lifts and 120km of pistes. The majority are blues or reds. To visit the resort, drive in the direction of Chur and about 2km after Trun follow the signs for Obersaxen. Disentis is on the "Cadi" cross country loop, which is 26km long and runs along the Rhine from Disentis to Trun. One can jump on the train and return should one not want to complete the full stretch. Additionally there is a 15km loop that runs through Sedrun. The Nordic Surselva site has further information. There are several different sledging runs in the valley. One can sledge down the Oberalp Pass, or sledge down from the upper reaches of Mumpé Medel. Further information can be found on the tourist board sledging site. The Disentis sports centre has an ice rink, which is situated about 10 minutes walk from the apartment in the direction of Sedrun. Opening times and prices can be found on the Disentis Sports Centre site. 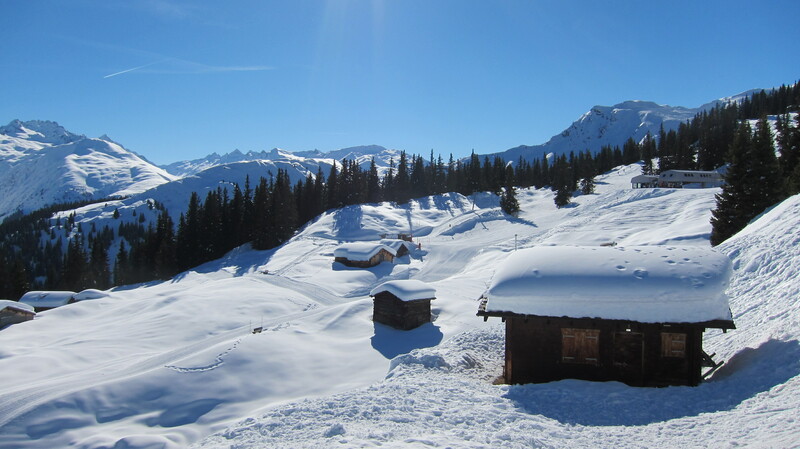 There are a wide variety of winter walking and snow shoe options around Disentis. See the tourist board site for a selection of walks.